A partner of the firm, Sean N. C. Moree is an experienced attorney who specializes in litigation and arbitration, particularly in regards to matters that involve trust, corporate, commercial, and insolvency issues. His practice also includes contested probate proceedings, employment disputes and private client work. 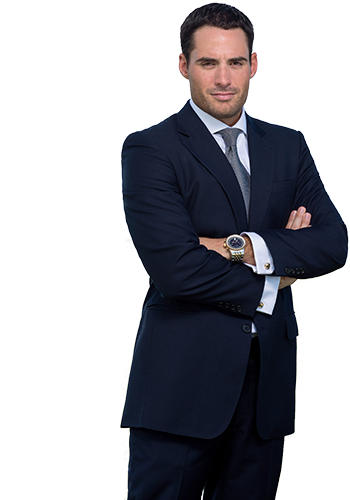 In addition, Sean runs an active arbitration practice, and he regularly appears before tribunals, both in the Bahamas and abroad. Sean completed his Bachelor of Law Degree at the University of Nottingham, England in 2002. He then completed the Bar Vocational Course at BPP Law School in 2003. He was called to both the English and Bahamas Bars in 2003. In 2004, Sean went on to complete his Masters of Law Degree at Wake Forest University, where he specialized in international civil litigation. Sean is committed to providing his clients with exceptional service. His work ethic and industrious nature has enabled him to achieve success in both his legal and personal life. Outside of law, Sean is passionate about sports and his philanthropic endevours. He especially enjoys tennis, running, and boating. Leader in the Awanas programme at Calvary Bible Church. Director for The Bahamas National Feeding Network. Member of The Bahamas Bar Association. Recognized in 2013 as one of Bahamas’ top 40 professionals under the age of 40 by the Ministry of Youth Sports and Culture.